Walk a mile in Darcelle’s heels. 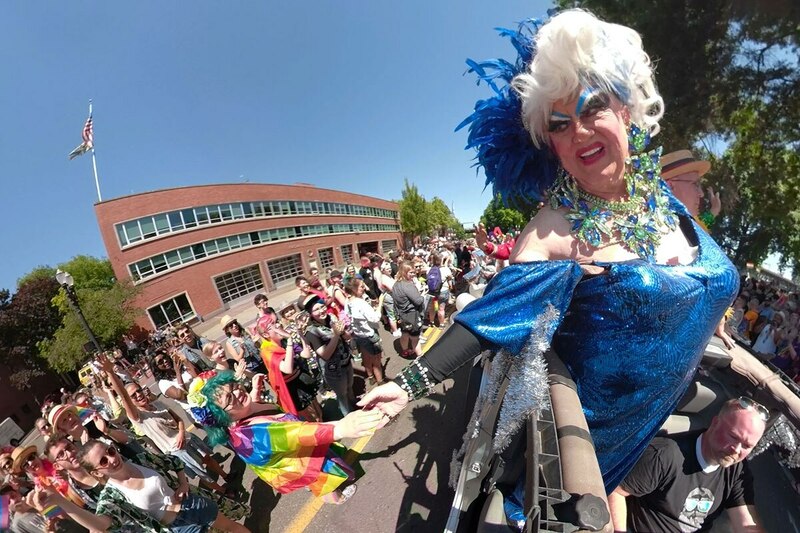 At first glance, using cutting-edge virtual reality devices to tell the story of the world's oldest performing drag queen, Portland's own 87-year-young Darcelle XV, might seem an odd choice. But the technology makes Through Darcelle's Eyes as colorful and engaging as the documentary's subject, the Guinness World Records-holding Darcelle, aka Walter Cole. As Darcelle is interviewed about her 50-plus-year career and the evolving hardships and triumphs of the LGBTQ community, the VR headset from 360 Labs in Portland allows viewers to take in the performer's sitting room, one that's so opulent Liberace himself would have been impressed. When Darcelle is performing, you can look to your right and see members of a bachelorette party having the time of their lives, then turn back around and spot a man with a milewide grin approaching the stage, dollar bills clutched tightly in his fist. The device even allows you to peek backstage. Touring a dressing room stuffed with flashy wigs and costumes, Cole tells us, "It takes a lot of money, a lot of time and a lot of balls to become Darcelle XV." One of the more affecting scenes in the documentary occurs when Darcelle, sitting atop a float as the Portland Pride Parade's guest of honor, encounters a band of homophobic assholes protesting along the route professing to know whom God hates. The revelry is briefly interrupted, and it's jarring to see what Darcelle sees—an amazing opportunity for a white, cis dude such as myself to experience what being on the receiving end of pure, idiotic vitriol feels like. But the so-called Christians can't steal Darcelle's thunder (I doubt anyone can or ever has), as they are quickly obscured by joyous supporters who shout down their hateful chants and cover their ridiculous signs with rainbow balloons. The victorious moment is filled with dignity and exemplifies everything Darcelle's life and work have been about—it's also a great use of VR technology. As virtual reality becomes more prevalent, it's exciting to see how films that don't feature dinosaurs or skydiving secret agents make use of the technology. With Through Darcelle's Eyes, co-directors Brad Gill and Rachel Bracker have proven that VR can be used to tell a touching, intimate story like that of Darcelle XV, a true Portland treasure if there ever was one. SEE IT: Through Darcelle's Eyes screens at Darcelle XV Showplace, 208 NW 3rd Ave., 360labs.net/DarcelleXV. Every 30 minutes 1-6 pm Saturday-Sunday, Oct. 13-14. $6. Donovan Farley originally hails from Atlanta and lived in New York City before arriving in Portland in 2014. 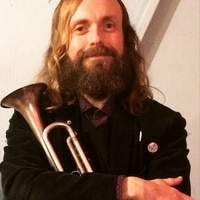 Donovan also writes for VICE, Paste, Consequence of Sound and other various reputable outlets about current events, politics, the arts and whatever else strikes his fancy. He one day hopes to share tacos with Andre Benjamin and Joan Didion.